1. The chapter is entitled "confessions". What do you think the most meaningful confession on Bella's part, and what is the most meaningful confession on Edward's part? For Bella that she would rather die than stay away from Edward. And for Edward pretty much everything! Especially how her blood smells and that he wanted to kill her the first day. 2. Edward tells Bella everything that he has been doing "off page" up until now. Most of these moments will be shown in "Midnight Sun." Which moment are you most looking forward to reading? That's really hard. Probably when Edward makes the weird remarks and Bella is trying to figure out what they mean. It'll be nice to see that. 4. This is the chapter where we really see a romance blooming between Edward and Bella. What was the most romantic moment for you? I think when Edward holds Bella and listens to her heartbeat. 1. The chapter is entitled "confessions". What do you think the most meaningful confession on Bella's part, and what is the most meaningful confession on Edward's part? That Bella would rather die than stay away form Edward, and Edwards how he wanted to kill her from the start. 2. Edward tells Bella everything that he has been doing "off page" up until now. Most of these moments will be shown in "Midnight Sun." Which moment are you most looking forward to reading? Well seeing as I'm a cheater and read the first 12 chapters on Stephenie website I'm gonna say I love what he thinks. 3. The subject of humanity and what it means to be truly human constantly comes up. How is the humanity of Bella and Edward best displayed in this chapter? 4. This is the chapter where we really see a romance blooming between Edward and Bella. What was the most romantic moment for you? The medow that is the best part of the whole book it has everything i love in it. I think Edward's biggest confession is his feelings towards her in those first days. He confessed to WANTING to kill her in the first day he saw her. That's intense. I also think stepping into the sun was a very courageous thing to do. Bella pretty much tells Edward she would die for him. That's pretty big. Umm...sad face. I don't know if Midnight Sun will be published anymore Anywho...I would want to read what he was thinking in everything up until the Port Angeles scene. Sure that's good after that, but we don't really know him before that. When they touch each other is definitely one of the most human connections in this chapter. Umm...wow. Every time one of them says "Don't Move." Edward's most meaningful confession is detailing the first few days; the immediate want to kill her, without holding back anything. That's kinda huge. And Bella's is how terrified she is of losing him, which she says by telling him she'd rather die than stay away from him; huge for her to tell him anyway, especially knowing that he backs away from her other statements of how she likes him, knowing that they're closer now than ever, and that telling him that much could cause him to run. I already read it on Stephenie's website. But I'm looking forward to reading Edward coming back, and the interactions he has with his family then, on his return. When it's edited and polished up properly. Edward's humanity is best displayed when his 'human instincts' surface; when he puts his arm around her and leans into her, and appears much more animated after. It shows him banishing the 'monster' side of him and becoming a happy, carefree person, ridding himself of his worries for a few seconds. Bella's is best shown in her understanding and compassion for Edward; as she said, even when he confesses that he wanted to kill her, she feels sorry for him. The first time they properly touch; when Edward leans his head against Bella's chest and listens to her heart, and Bella finally gets to touch Edward's face. Despite everything standing in their way, they press on and manage to touch each other, to let some of that electricity out for the first time. I think that's incredibly romantic, given their struggle to reach that point. The touch means much more to them than simple touches mean to anyone else. The must meaningful confession of all was in my opinion when Edward explained to Bella just how close he came to killing her, and how much he craves for her blood. I think that was really brave of him, knowing that it might scare her of. And then he moves right on to saying that he couldn't live with himself if he ever hurt her. "You are the most important thing to me now. The most important thing to me ever". I think that is one of the most meaningful quotes in the whole series. As for Bella's confession it would have to be declaring her love for him, and stating that she would rather loose her life than to stay away from him. She's facing some fears but practically doesn't notice, since the only thing that makes sense to her is to stay with Edward. I have already read the draft on the SMs website, and I loved it. I'm not thinking so much about the events that took place, but just hearing what goes on in Edwards head would be amazing. The meadow....I really want to read that through Edwards eyes and mind. The whole chapter is filled with nice moments (this is one of my favorite chapters). When Edward listens to Bella's heart, loved it. And like I mentioned, when she has her head against his chest, and he holds her and places his face to her hair. And of course the kiss, I was surprised that Edward initiated that, but I liked that he did. Bella admits to how much she wants to be around him, that she would rather die than stay away and that she really doesn't care what he is. Edward's is how he has to be around her too, but also that he really has wanted to kill her from the beginning, how he has to keep fighting that. I'm so sad that Stephenie might not finish!! I really want to read this chapter though, to see the whole thing from his perspective..I want to see what he thinks when he holds her and how he reasons with himself to kiss her..
Edward remembers back to when he was human, even though he never felt like this, he just lets himself go with his instincts. They are like any other two people falling in love, touching each other, very hesitant, but surprised at how easy it can be..
Also, just the whole mood of the chapter, how they are finally alone and away from everything, just getting to laugh and talk. It's so cute. Edward's most meaningful confession is twofold: telling Bella the way her smells to him -- the fact she's "his brand of heroin" -- and that it would kill him if he hurt her because of how he feels about her. Bella's greatest confession is that it doesn't matter to her how much he wanted to kill her at first... because she cares about him that much (e.g. more than herself). I'm looking forward to hearing him describe his conflicting emotions in the meadow -- like when Bella leans into him and the smell of her throat is so appealing. And... the first kiss, of course. Whoo! Through their feelings for each other for sure -- and the way they both are willing to give of themselves to be together. Hmm... the first moments they spend time looking into each others eyes and touching each other gently. Swoon!! I have to say that Bella’s most meaningful confession is that she would rather die than stay away from him. With him I would have to say the whole Not Her! Thing. And everything else going along with that. The fight that the Cullens had and the fact that he’d side against the rest of his family for her. 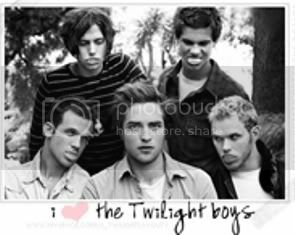 By far and away I’m looking forward to the fight between all the Cullens. I want to see exactly why Emmett takes Rose and Jasper’s side. I want to see what made Alice take Edward’s side. The fact that they both fall in love with each other. They both have this moment where they don’t know what to do because neither one of them has ever been in that situation. It’s the infamous Lion and Lamb speech. It’s just that moment where they realize it and are like okay now what. There really is only one part of that chapter that gets my heart going. And it’s not even this really big thing. All it is, is when she starts to run her fingers along his face. Touching his eyes, his nose, his cheeks, his mouth… I love that part. I think Edward's confession is why he act the first time he met Bella in biology class. When he's honest about why he wanted to lead her into the forest and why he wanted to kill her. That's his most important confession. I think Bella's confession is about how she felt about him. About the fact she don't want him to leave her ever. -I don't really understand what is meant by "off page", but I'd love to read about how Alice saw Bella become killed by Edward or become a vampire. Well, when Edward was off guard because Bella touched him and he had to ran away to calm himself down, he was felt really human. And after that Bella was more careful, so Edward could be more human and himself. When she touched him the first time. When she took his hand and let her finger make a trial on his hand. And when she wouldn't lay down, because she couldn't see him sparkle when she would. I loved that part too, it's just a small thing but I loved it!